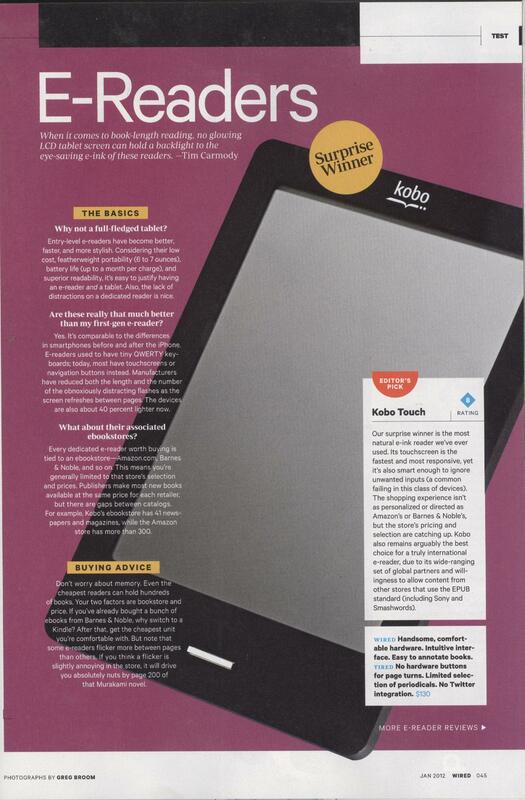 We are thrilled to announce that Kobo Touch eReader took the top honours and was named Wired Magazine’s Editor’s Pick! Kobo Touch design was described as “handsome and comfortable”, its touch screen as “fastest and most responsive” and our user experience was evaluated as most “intuitive interface and easy to annotate books”. Wired Magazine is amongst the most influential technology magazines with circulation of over 800,000. 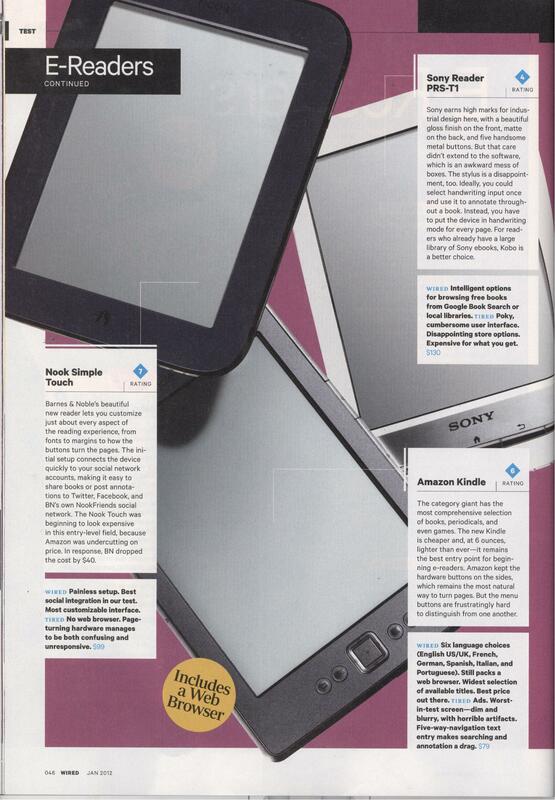 For their January 2012 issue, Wired magazine evaluated eReading industry’s top contenders for their test-comparison story – Kobo Touch eReader was compared against Nook Simple Touch, the Sony Reader and Amazon Kindle. This news came to the Kobo Team as an early holiday present, about which we are very excited, and thought that we would share with you! Click here for page 1 & page 2 of the review.